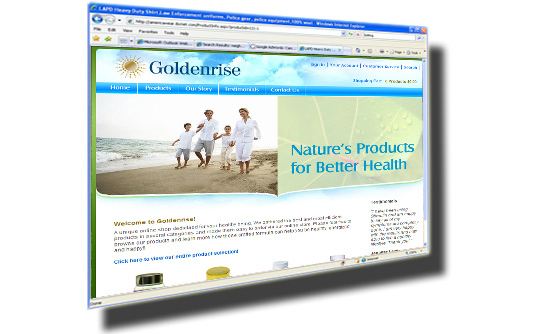 Goldenrise is a distributor for high quality health products. 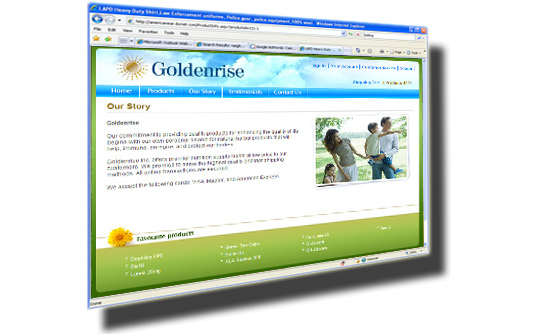 We used our unique and customized approach to create a Content Management System for Goldenrise to manage, process, and showcase their products, and provide an outlet for their resellers, as well as for end consumers to buy directly online. 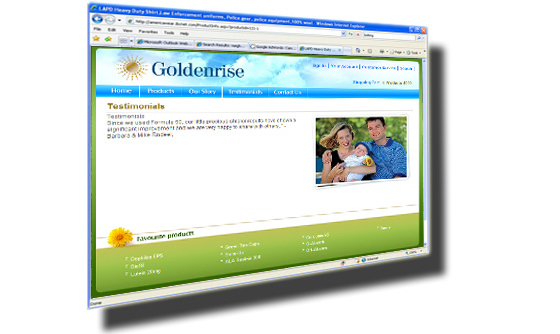 ASP.NET 1.1, MSSQL, DHTML, IIS, VB, Flash, CSS, HTML, and Java.